I am very vocal in my circle of influence about the need for ALL Americans to vote. Like many of you, I watched a video today of the Republican candidate for president that is shocking. As president, you take on the responsibility of making choices for all Americans. You can't discount the ones that don't agree with your platform. You must be thoughtful and considerate of all Americans despite their position. As a result of choices made by our government, there are millions of Americans out of work today. Many of them are accessing services available through the federal government for the first time in their lives. It is likely that some of them at one time believed that welfare and food stamps were only used by people who were too lazy to work. Based on the number of people accessing those services now, I think they now know differently. Hard working people who have been laid off through no fault of there own are not victims, as Mitt Romney calls them. They don't have a history of living off of the government. I think it is extremely irresponsible for a man who aspires to represent us all to discount 47% of Americans in one fell swoop. If by some unimaginable fluke this man becomes president, let's remember that he has announced to all of us that he doesn't believe it is his "job to worry about those people". Why does Mitt even want to be president if he has such disdain for 47% of America? The job is president of the United States of America, not president of 53% of America. This was not a good move Mitt. Not a good move at all. I'd like to see the data that supports Mitt Romney's premise that 47% of Americans don't pay taxes. Mitt Romney really shouldn't even bring up the topic of paying taxes right now. We haven't forgotten Mitt. Show us your tax returns. Mitt... you should be worried about the 47%. We vote. "He starts off with a huge number. These are people who pay no income tax. Forty-seven percent of Americans pay no income tax. So our message of low taxes doesn't connect. So he'll be out there talking about tax cuts for the rich. I mean, that's what they sell every four years. And so my job is not to worry about those people. I'll never convince them that they should take personal responsibility and care for their lives." I want to get to the heart of the Teachers Strike in Chicago. Although I worked in the education system for a number of years, I've never been a K-12 classroom teacher. I have a lot of admiration and respect for the work that teachers do. If you follow my blog, you know that I have discussed in the past the need to invest in our teachers. 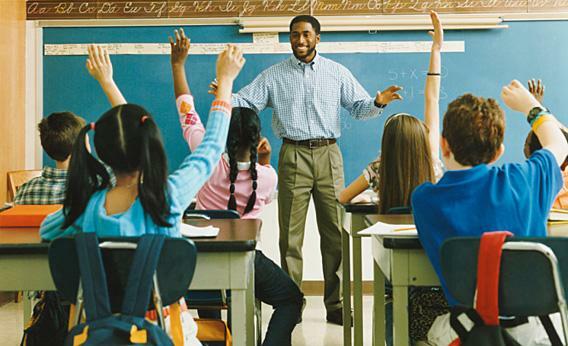 Most educators don't become teachers because they are seeking tremendous wealth. If you ask most educators they will tell you they knew at an early age that teaching was their "calling". So, while money is certainly a factor, it is not the main concern. Our teachers are consistently being asked to do more with less. Class sizes are growing. Loopholes are put in place to have "waivers" to increase class size. Experienced teachers are being laid off. Because of their longevity and loyalty, their salaries are at the high end of the pay structure. Many schools rationalize that they can hire two new teachers for the price of one experienced teacher. When we lose experienced classroom teachers we see the impact later. Experienced teachers typically have better classroom management skills, fewer discipline referrals, lower drop out rates and greater parent involvement. Newer teachers tend to have less skill in classroom management and more discipline referrals. In general, newer teachers tend to focus more on "teaching to the test". This is great for increasing standardized test scores, but not so great when our goal is to teach students how to learn and to increase the graduation rate. Are teachers right to be concerned about an evaluation system that is so focused on the outcome of standardized test scores when the school systems are not investing in educators? Teachers are getting by with little or no "real" professional development. They are using their own money to provide basic needs for their students....paper, pens, crayons, glue. They are playing the roles of teacher and parent in many situations. They work extended hours without extended pay. America needs to prepare our next generation to compete in a global economy. An investment in our teachers is an investment in America's future. On this Labor Day I have watched commercial after commercial announce their annual Labor Day sales. The smell of bar-b-que is pervasive throughout my neighborhood. My mailbox has been crammed for the last week with sales papers from furniture stores and grocery stores and everything in between. I am wondering, where did we lose the point? Where and when did we lose the point of Labor Day. I've not seen a story on CNN or Fox or msnbc about the labor movement of the 19th century that brought to light the cruel and unfair practices of the manufacturing and industrial systems of the time. I've not seen a parade to remind the nation of how far we have come. What I have seen is people taking off work on Friday to make this a four day weekend. I've seen people flocking to stores to take advantage of the special low prices this weekend, I've seen and smelled the briskets, ribs and burgers on pits throughout America. Just like voting rights for women, voting rights for African Americans, the end of segregation, abortion rights, and every other change of great significance, lives were lost for the labor cause. So today, This Woman's Words celebrates Labor Day. I celebrate all who fought to bring the plight of unfair labor practices to the forefront. I pray for those still suffering, and I honor those who lost their lives so that others could benefit.